Two artists who work mainly with encaustic (wax) paint, discuss why they explore other materials in making their paintings and what motivates their work. Each artist shows 15 paintings as examples of her work and paintings are shown in a large size, with most given a full page. 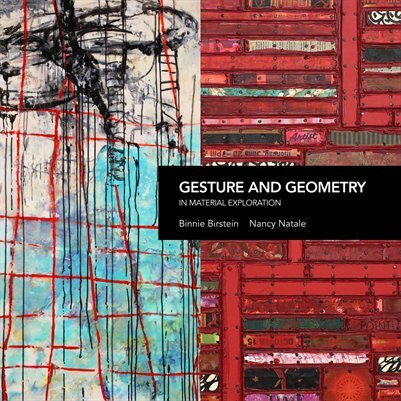 This is a colorful presentation of works by two dynamic artists who use both gesture and geometry in making their paintings.